UPDATED: Thu., April 11, 2019, 7:16 p.m. The spring blizzard – the second “bomb cyclone” storm system to hit the region in a month – left behind hundreds of canceled flights at Denver International Airport, along with wintertime temperatures and snarled traffic before blanketing parts of the Upper Midwest with up to 2 feet of snow. “This time of year (in) the central, southern Plains, you get severe weather – thunderstorms and tornadoes. 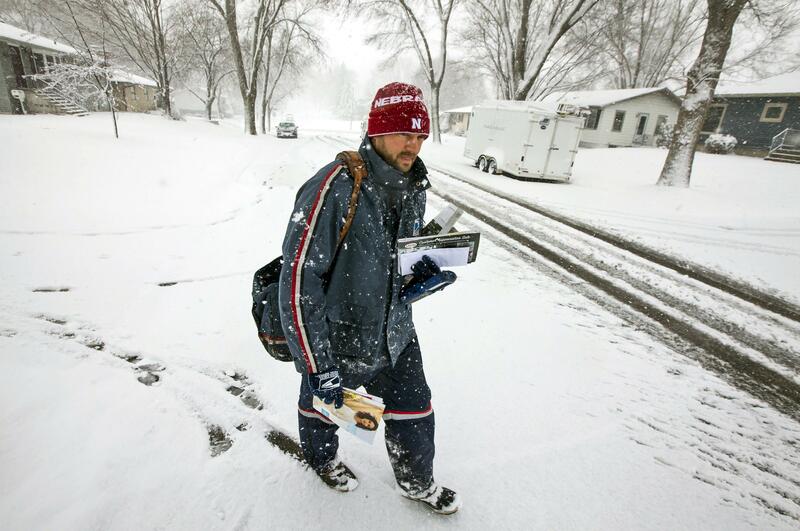 Unfortunately in the Dakotas, we get feet of snow,” he said. In southwest Minnesota, the National Weather Service said there could be half an inch of ice accumulations and winds up to 50 mph. At least three highways in the region had to be closed Thursday due to fallen power poles or lines on the roadway. An unusual but not rare weather phenomenon known as “thunder snow” – snow accompanied by thunder and lightning – was reported Wednesday and Thursday in central South Dakota. Published: April 11, 2019, 11:36 a.m. Updated: April 11, 2019, 7:16 p.m.